RIO GRANDE CITY — A defense attorney made his final case Tuesday for why his 16-year-old client, a suspect in the Chayse Olivarez slaying, should remain in the juvenile justice system. 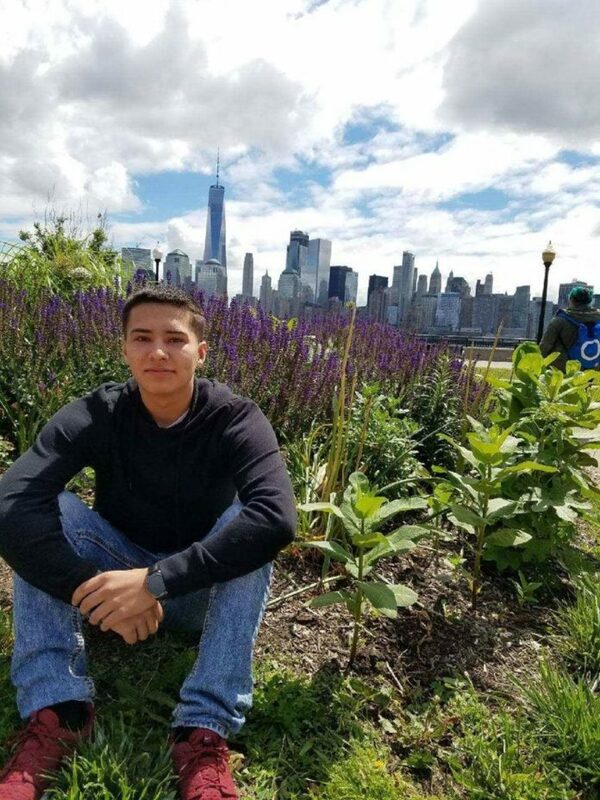 The juvenile is one of three young men charged with the July 30, 2017, murder of Olivarez, a 17-year-old Rio Grande City teen whose remains were discovered in a Roma lagoon. Olivarez had been reported missing in the days leading up to the discovery of his remains. The certification hearing has been drawn out over the past three weeks, during which Starr County Attorney Victor Canales Jr. called law enforcement investigators to the witness stand to detail how Olivarez’s remains ended up in three trash bags, burned with diesel and cut up with a machete. Investigators allege Olivarez was lured to an abandoned Roma ranch under the pretense of smoking marijuana, only to be shot to death by 17-year-old Jose Luis Garcia Jr. as retaliation for stealing marijuana brownies and Xanax from Garcia. Burnett urged the judge Tuesday not to cave into community pressure to transfer the case to adult criminal court as punishment for a heinous crime. “And I challenge the court to find evidence in the record … to justify transferring this case to district court,” Burnet continued. Molina, who is running for re-election in the March 2018 Democratic primary, faces one challenger. He said he planned to rule on the certification by Thursday. The case has generated significant local attention, so much so that Garcia’s attorneys filed a motion to have his case moved from Starr to Hidalgo County “because of the considerable discussion in the community” about the case. A judge has yet to rule on the Dec. 28, 2017 motion. At the outset of Tuesday’s closing arguments, Burnett alluded to plans to appeal the judge’s assumed decision to certify his client as an adult, raising his maximum sentence from 40 years to the possibility of life in prison. As per the Texas Family Code, the judge must consider four factors, among other things, when justifying the decision to transfer the case to adult court: whether the crime was against property or a person; the juvenile’s sophistication and maturity; criminal history and likelihood for rehabilitation in the juvenile justice system. “There is nothing in (the family code) that a child should be deprived of the benefits of the juvenile justice system because of the heinousness of a crime,” Burnett said. Whereas Burnett argued that witness testimony supported the notion that his client would be a good candidate for rehabilitation, the county attorney rejected that position. Assistant County Attorney Jenny Vasquez argued that because the Texas Department of Juvenile Justice would have “exclusive jurisdiction” over Burnett’s client until he is 19 years old, it would have the “exclusive right” to determine the type of facility he was placed in and for how long. TDJJ could conceivably release him after two months, Vasquez said. The county and Burnett also disagreed over his client’s role in the murder. Burnett argued that his client had the most “subordinate role” in the crime and had no knowledge Garcia was planning to shoot Olivarez, but only thought the teens were going to smoke marijuana together. He also disputed the state’s argument that his client participated in the disposal of the body, something investigators believe given the juvenile’s intimate knowledge of where the remains were located. Yet, according to investigators’ testimony, none of the confessions made by those arrested in connection to the murder confirmed the juvenile’s participation in disposing the body. Burnett reminded the judge Tuesday that witness testimony painted his client as not having the same maturity level as an adult. Vasquez argued, however, that the fact the 16-year-old “knows right from wrong” and understands the consequences of his actions, he is sufficiently mature to be tried as an adult. “It is far easier to rescue and rehabilitate a child in a situation such as (my client) than it is to repair an adult, particularly one who spent their formative years in an adult prison,” Burnett said. If Molina rules later this week to transfer the case from his court to state district court, and if Burnett appeals the ruling to the 4th Court of Appeals, all future proceedings in the case will come to a halt until the appellate court issues its ruling.